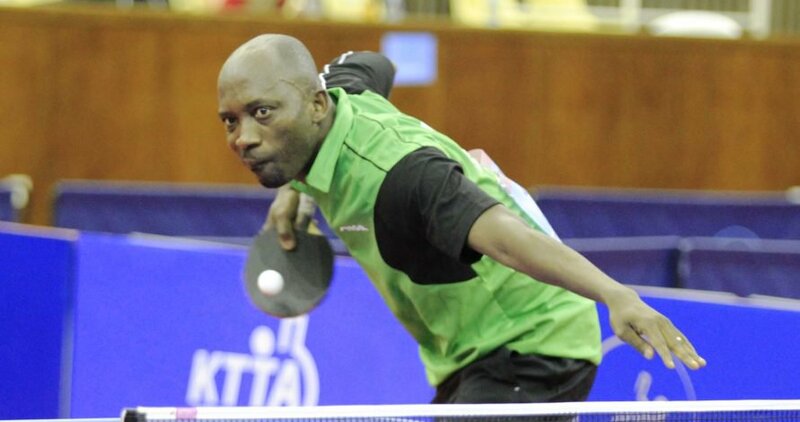 Segun Toriola and Ajoke Ojomu yesterday emerged champions in the men and women’s table tennis event of the ongoing 19th National Sports Festival in Abuja. Toriola, representing Akwa Ibom State, had lost in the mixed double he paired with Funke Oshonaike. After the first game, which he lost 9-11, Toriola came with his wealth of experience and fought a grim battle to subdue Ahimiyi Ganiyu of Bayelsa State 9-11, 11-7, 11-9, 11-7, 11-9 to grab the gold medal in the men singles decided yesterday. “It was painful that I lost in the mixed double with Funke Oshonaike. And I had to be very careful in the single, as these our young brothers here are determined and ready to disgrace any body. “After the first game, I knew I had the chance of coming out victorious”, Segun Toriola said. Earlier, Ajoke Ojomu of the FCT, defeated Cecilia Otu-Akpan of Cross River in the women’s singles final, to smile away with the gold medal. In the grueling encounter, Ojomu came out 4-3 (8-11, 11-4, 7-11, 11-2, 2-11, 11-9, 13-11) superior to clinch the gold medal. “I’m so, so happy to have defeated Cecilia for the gold medal. I pray to get good international exposure to improve my standard,” Ajoke Ojomu said. Coach Ezekiel David of the FCT table tennis team was excited at his ward’s feat. “I was not disturbed that Ajoke had cruised to the final. I know her capability, and I was very sure of a gold medal from her after Nimota had removed Funke Oshonaike that would have been an obstacle to her victory. “This festival gold medal is not the end of it all, as we will resume training to ensure she qualifies to be in the national team for any international assignment,” coach David said. The national coach, Bello Nasiru, has however, expressed satisfaction at the level if performance displayed in the matches played. According to Nasiru, the decision to involve the ex-internationals has brought glamour to the table tennis event in the festival. According to him, Toriola’s cool headedness won him the gold medal in the men’s singles.